Today Google is celebrating 100th Birthday of Famous French photographer’s, Robert Doisneau by replacing its traditional Google logo with a with an interactive homepage doodle in the memory of the great personality. A mouse-over over the Doodle reveals that it is meant to celebrate Robert Doisneau‘s 10oth Birthday and on clicking will lead to a search page searching for the name of Robert Doisneau. R Doisneau born on April 14, 1912 was famous for his lyrical approach to street photography. His most famous photograph Le baiser de l’hotel de ville (The Kiss by the Town Hall), a photo of a couple kissing in the busy streets of Paris shot in 1950 shows aspiring actors Francoise Delbart and Jacques Carteaud. . Doisneau was appointed a Chevalier (Knight) of the Legion of Honour in 1984.This is one of the four photographs that Google chose for its Robert Doisneau doodle. Through the ’30s, Doisneau worked for Renault, the French auto giant; when he was fired (apparently for being chronically late), he struck out on his own. During World War II, he was conscripted in the army, and later helped forge passports for the Resistance. In the 1940s and 1950s, he settled in the perambulatory rhythm that yielded iconic images like the ones above. Doisneau died at the age of 81, on April 1, 1994, and he left behind an impressive collection of 4, 50,000 negatives. Top 10 Websites to Play With Your Photos! What do you think about the today’s Google doodle and which has been your favorite Google Doodle till date? Do let us know via comments. 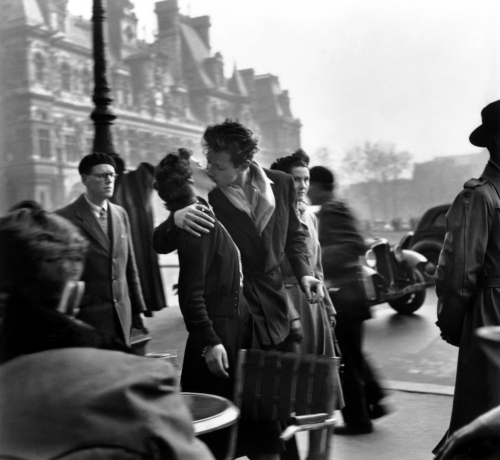 Tricks Machine along with its readers wishes Robert Doisneau on his 100th Birthday.